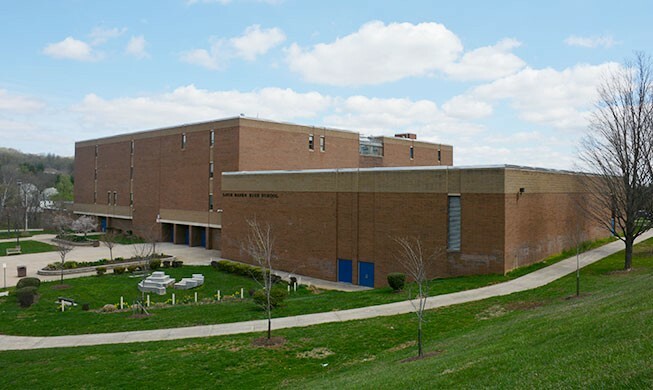 Kibart, Inc. fulfilled the role of Prime Consultant as well as Mechanical, Electrical, and Plumbing Engineers for a major building HVAC renovation of this 160,000 SF school (1,200 Students), originally built in 1972. The design largely consisted of upgrading the HVAC air distribution systems along with all air handling units. Two (2) year multi-phased project while the school remained in operation. Replacement of 17 four pipe air handling units. Improving maintenance access for all large mechanical rooms. In some areas, new roof hatches were added. Replacing the existing constant volume air terminals with new variable air volume boxes (the new terminals contained hydronic reheat coils). Modification of the existing return air system to meet current code. Upgrading the fire alarm system. New fire dampers and fire / smoke dampers were added to meet Code. New Energy Management Direct Digital Control System. Upgrading lighting fixtures in various areas of the school. Asbestos abatement for the entire area affected by the renovation.